and wishing you a peaceful, bright, happy life. I drew this angel while I stayed in Brisbane in Australia. 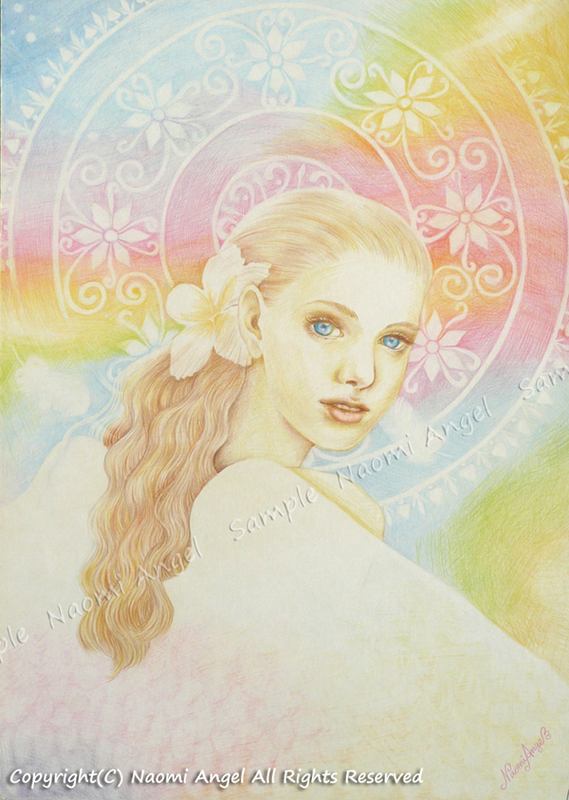 the angel appeared on the white board with rainbow colors of Heaven. It’s not only just a picture, I think she really came to me. I say “I’m home” to her every day when I came home, then she smiles at me. I believe she protects my house. * Naomi Angel's episode about this picture.